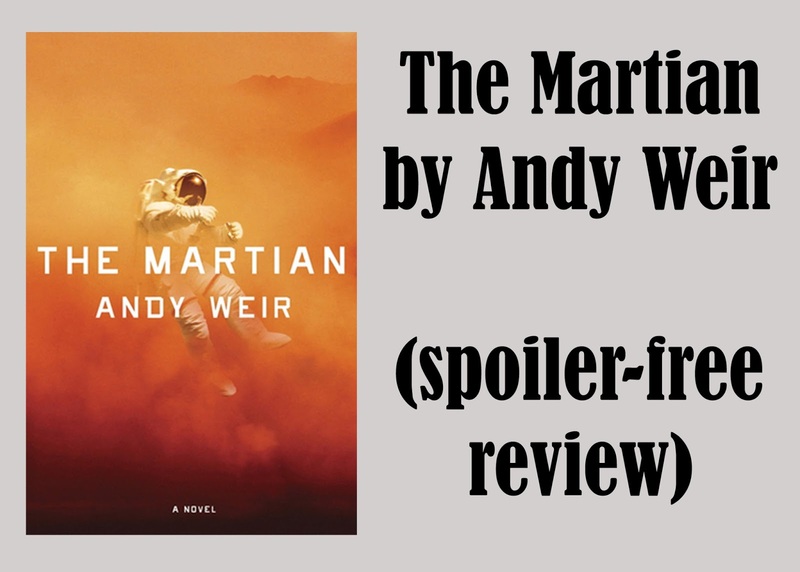 Today I bring to you a long awaited (on my part anyways), review of The Martian by Andy Weir! The novel is something I'd been looking forward to reading ever since I watched the movie. The movie was hilarious and ever since I heard the novel was funnier, I couldn't wait until I read the novel. Alas, I didn't read the novel myself. Instead I had someone else read it to me! No, I didn't ask someone to come to my room and read a novel to me for several hours. Instead I listened to this novel on Audible! This audiobook was great, I would recommend anyone who is thinking about reading this novel (which should be everyone), to listen to it instead! It's a great experience, and it makes the novel funnier than it already is. Alright, so let's get into the actual review! 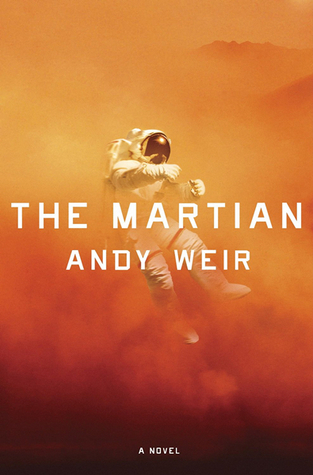 Mark was an amazing character to read (hear) in this novel. He had a personality that you'd want to be best friends with and he was so incredibly intelligent that you'd want to be him. Listening to this audiobook from the point of view of Mark was so enlightening and interesting, especially when he began to explain the technicalities of how and why he was doing what he was doing. Additionally I'd like to add that the main reason that Mark was such an amazing character to hear about was his resilience after being trapped on mars. Side Note: I'd also like to add that all of Mark's team that left him on Mars, are amazing. The characters in this novel were amazingly written, this amazing character development made you able to relate to every one of them and enjoy ever minute you got to see their point of view. I have so many feelings for this novel. It made me laugh so much and that's the one reason I so thoroughly loved it. It's hard to find a novel these days that can incorporate humor with such a serious and life altering plot. I also really loved the addition of the technical language in this novel with incredible explanations that helped me understand complex concepts without being so confused and feeling dumb. The explanations were to the point and allowed me to feel like I was smarter than I am. Lastly I loved the aspect of being able to see both Mark on Mars as well as all the people on Earth trying to save him. It was a nice change for when you got bored with one side of the story (which hardly ever happened) and it really helped the reader (aka me) see all aspects of what was going on without missing a detail or not being able to keep up with the plot itself. All in all this novel was a work of art. I loved it so much and I am excited to see how reading the novel instead of listening to it works out. I am definitely planning on reading the novel and it's extremely possible that I will end up reading the novel before the year is up! There you have my review for The Martian by Andy Weir! This novel was truly an amazing read (listen) and I recommend it with all my heart. If you have seen the movie then you must know that the book is just as good/better, and if you haven't seen the movie then I recommend reading the book first and then treating yourself with the movie right after! If you have seen the movie or read the book please leave a comment down below letting me know how you liked it, and if you didn't. I'd love to hear all of your thoughts!